Like many parents, trying to get my both stepson and my niece to drink milk is near impossible. In fact pretty muchthe only time they will drink it is when it is flavored with chocolate, strawberry or some other flavor. As a child I used to be the same way, but now as a parent I know the importance of having milk in their diet, as well as staying away from too much sugar, fat and calories. Unfortunately, many of the already-flavored milk and milk flavorings have way too many calories and fat. Then I discovered MilkSplash. 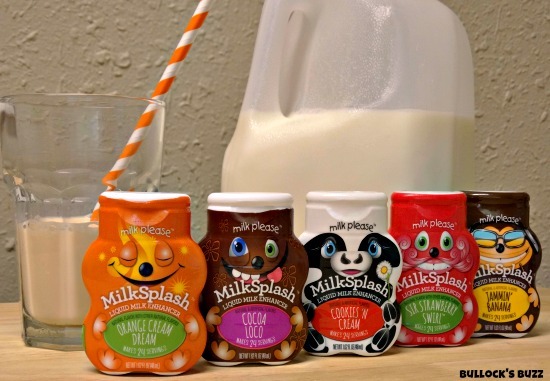 MilkSplash is a zero-calorie, zero-fat, liquid milk flavoring that both kids and adults can enjoy. It comes in six great-tasting flavors including Cocoa Loco, Sir Strawberry Swirl, Orange Cream Dream, Cookies ‘N Cream, Horchata Piñataand Jammin’ Banana. Made with both natural and artificial flavoring, MilkSplash is also completely gluten-free, allergen free, and Kosher. Each flavor comes in a small 1.62 ounce, BPA-free bottle that needs no refrigeration. To use you simply add onesquirt for every 8 ounces of milk, and it turns plain white milk into great tasting flavored milk! Be careful though – it takes a lot less flavoring than you would think! The first time we tried it, I used about 3 squirts – thinking of those water enhancers – and it was way too much! I highly recommend starting with just the one squirt, then tasting the milk and adding more as needed. Although the bottles are small, you still get at least 24 servings in each one, and that small size has several benefits. Not only do they hardly take up any room in my cabinets, but they are also the perfect size for carrying in my purse when we go out to eat and the restaurant only serves white milk! Much to my surprise, my stepson’s favorite flavor was the Orange Cream Dream – the same as mine! My niece and prefered the rich, chocolatey goodness of the Coco Loco, and even my husband got in on the tasting and decided the Jammin’ Banana was his favorite! But flavoring milk is not the only use for these tasty milk enhancers! I can just imagine how delicious a scoop of vanilla ice cream blended together with a glass of Orange Cream Dream would be! Or how about a rich, moist, chocolate cake using Cocoa Loco-flavored milk in place of the water! 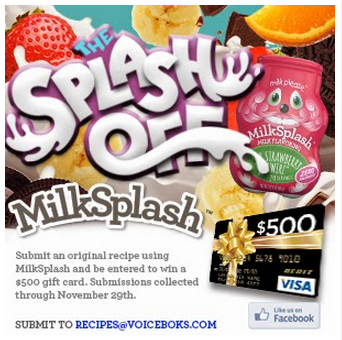 In fact, if you have a great recipe idea using MilkSplash, keep reading to see how you could win a $500 VISA gift card! 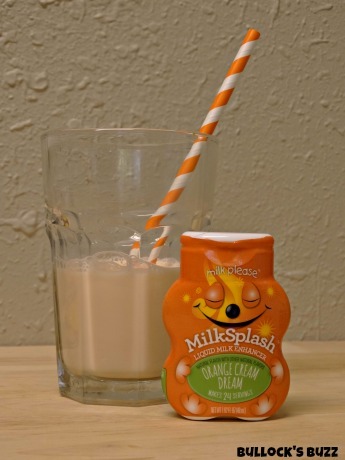 MilkSplash also tastes great with milk alternatives such soy milk, almond milk or goat milk. 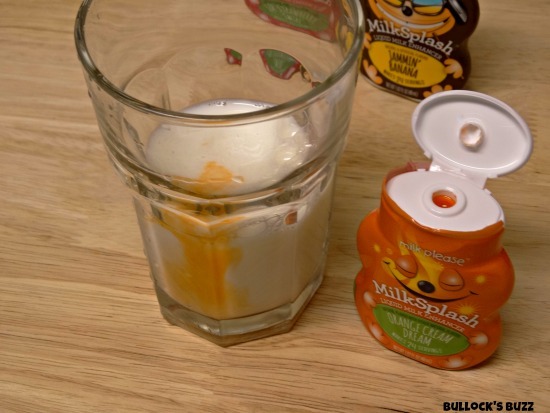 So if you are trying to transition your kids to a healthier alternative, add a little MilkSplash to cover the taste. Whether you are trying to get your kids to drink more milk, or just want to give them a special treat, MilkSplash is the way to go! 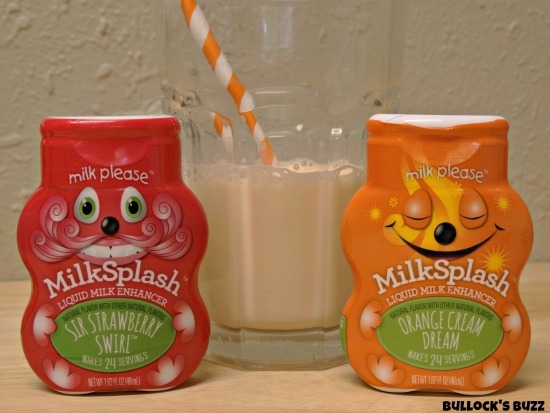 MilkSplash can be found at your local Target, Walmart, HEB, Food Lion and other retailers near you. Be sure to visit the MilkSplash website where you can learn even more about this tasty milk flavoring, search for a location near you, and even discover some special treats for the kids.  You can also connect with them through Facebook, Twitter and Pinterest! 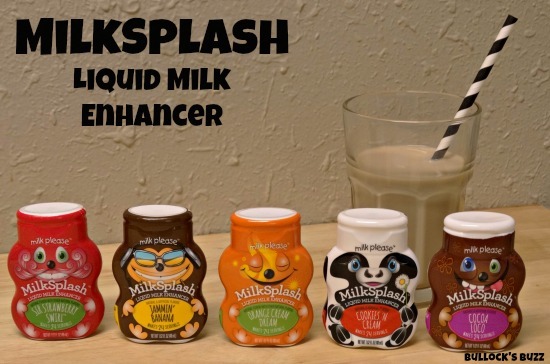 What flavor of MilkSplash are you looking forward to trying? “Disclaimer: I am a member of The Social Media Panel, LLC. who was given the opportunity to review this product. However, the brand or company has not influenced me in any way to provide any type of review other than my true and honest opinions. I am disclosing all information provided in this review according to the information provided in Federal Trade Commission’s 16 CFR, Part 255: “Guides Concerning the Use of Endorsements and Testimonials in Advertising.” I would like to extend my gratitude to MilkSplash for sponsoring this post. My kids love MilkSplash. My favorite is Strawberry. As a mom, I love that they are zero calories and don’t add a bunch of sugar.